Come and enjoy Alford Lake! For our members, campers, and their guests, we have a lovely white sand beach with a roped off area for swimming and picnics with grills and picnic tables. 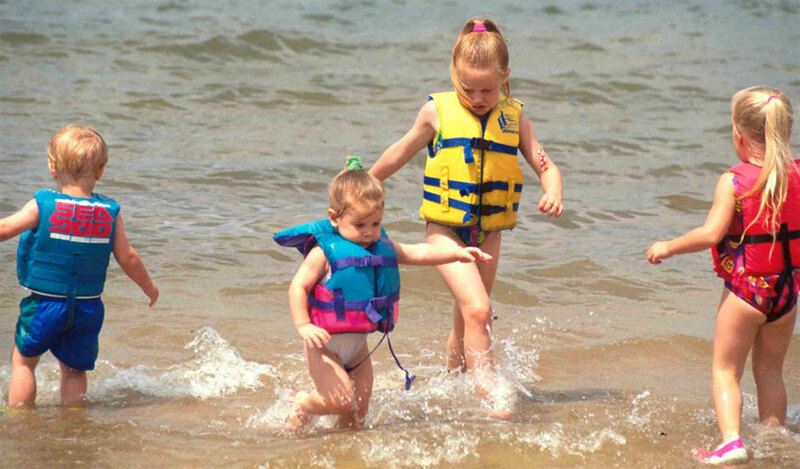 Next to the swimming area we also have a public boat launching ramp for all to come and enjoy the lake. Please be aware there is NO lifeguard on duty so swimming is at your own risk. 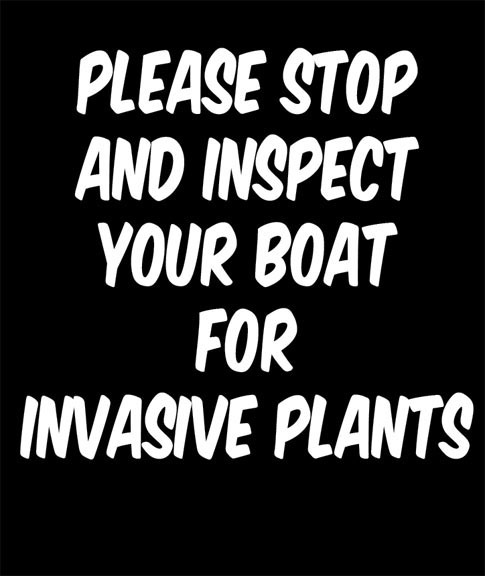 We are particularly concerned about invasive plants entering our waters, so much so, in fact, that together with the Alford Lake/Lermond Pond Association, we have instituted a boat inspection program. Be aware that even on the hottest days bits of marine plants adhering to hulls, motors, and even trailers, can withstand hours of highway travel and infect out lake when they arrive here. This is no joke. In other New England states plant infestation has reached nearly 100%. That spells the end of fishing and much of the recreational use. It's up to all of us to do our part. 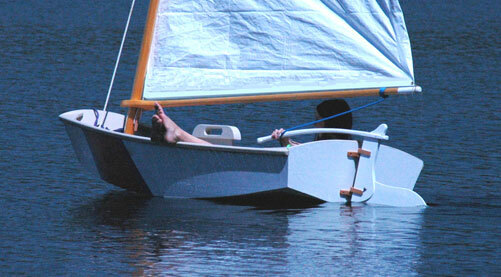 What to do if there is plant material on your boat? Experts advise washing the affected areas with a Clorox solution. Learn more about the problem by clicking here. Who knew? Most of us didn't until it was brought to our attention during our May meeting. You'll find a sign that looks just like this right by our launching ramp as a reminder. Actually, the state biologist who was at our April meeting was not so sure about that. You can read about that in the minutes. Just click here. 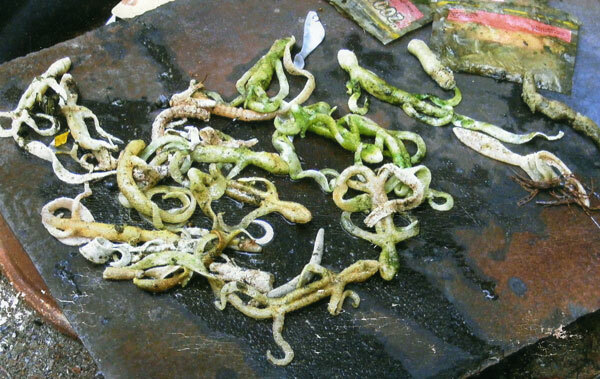 And this shot shows rubber worms collected with a 100' area in Lermond Pond. 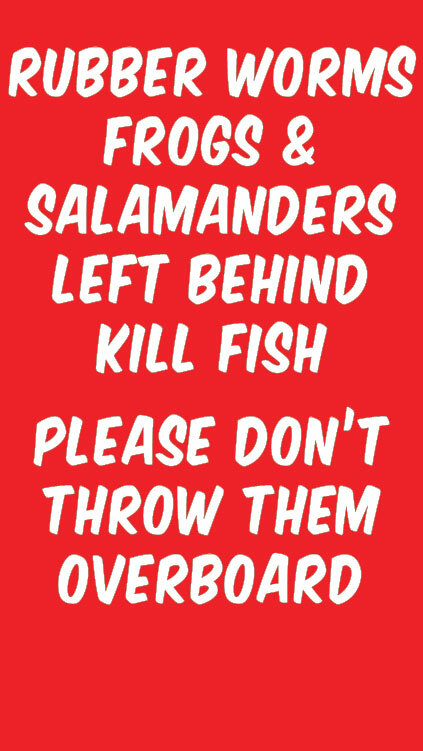 Please spread the word and heed the warning to protect some of the finest fishing in the State of Maine.